Make your recliner into a relaxing massage chair for an additional cost. The seat massage function provides soothing comfort. Visit one of our locations or contact us for specific details and availability. Power lift recliners include an easy-to-use handheld wand that controls the power-assisted sitting and standing as well as recline. Recliners feature removable chaise pads for easy cleaning and a battery pack that activates in the event of a power failure, ensuring the simplest operation possible. Lift mechanism provides safe motion for people up to 350 pounds, and a locking key can disable the chair when the lift mechanism is not needed. Embrace the casual, relaxed style of this lift recliner in your home. This power recliner has a remote-operated lift base and makes it easy to get in and out of the chair. Plush pillow arms and comfortable seating area make this chair perfect for afternoon naps or watching TV. Enhance the decor of your home with this lift recliner. The Lift and Power Recliners Power Recliner with Plush Pillow Arms by Franklin at Miskelly Furniture in the Jackson, Pearl, Madison, Ridgeland, Flowood Mississippi area. Product availability may vary. Contact us for the most current availability on this product. Recliner Mechanism Reclining pieces are catered for maximum comfort. Linkage gravity operated design and Perma Life Delrin rivet joints make for a smooth, easy operation. Counter balanced full recline offer infinite reclining positions. Warranty Limited lifetime on patented relining mechanism, seat, back and rocker springs. 5 year limited on frame. 1 year on electronics. Comfortable and functional, the Lift and Power Recliner collection will help you find a seat that is perfect for watching TV, relaxing or visiting with family and friends. This collection is made of a selection of lift power recliners. These chairs have simple designed with plush seating areas, cushioned arms and power remotes. Power lift bases raise the chairs so they are easy to get in and out of. A variety of upholstery options allows you to customize the chairs to match your design decor. 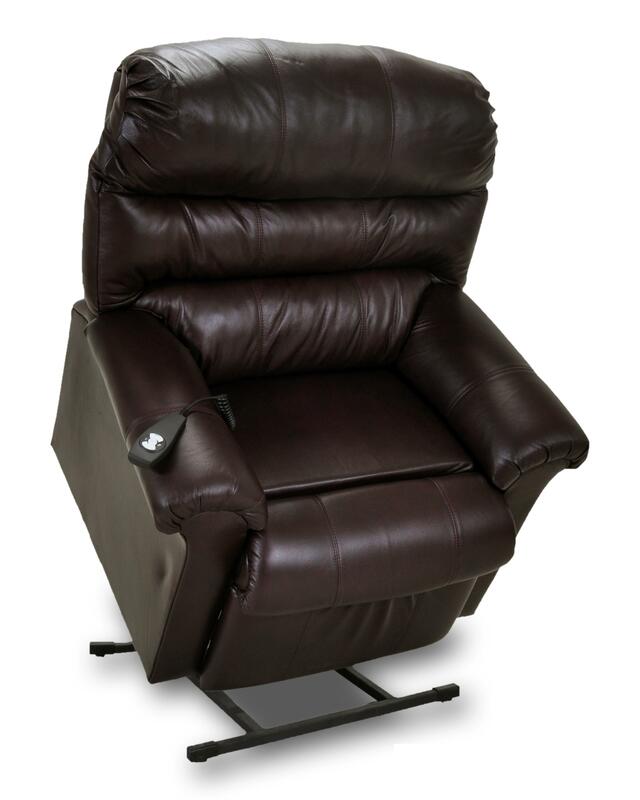 The Lift and Power Recliner collection will help you find the perfect recliner for your home! The Lift and Power Recliners collection is a great option if you are looking for Casual furniture in the Jackson, Pearl, Madison, Ridgeland, Flowood Mississippi area.